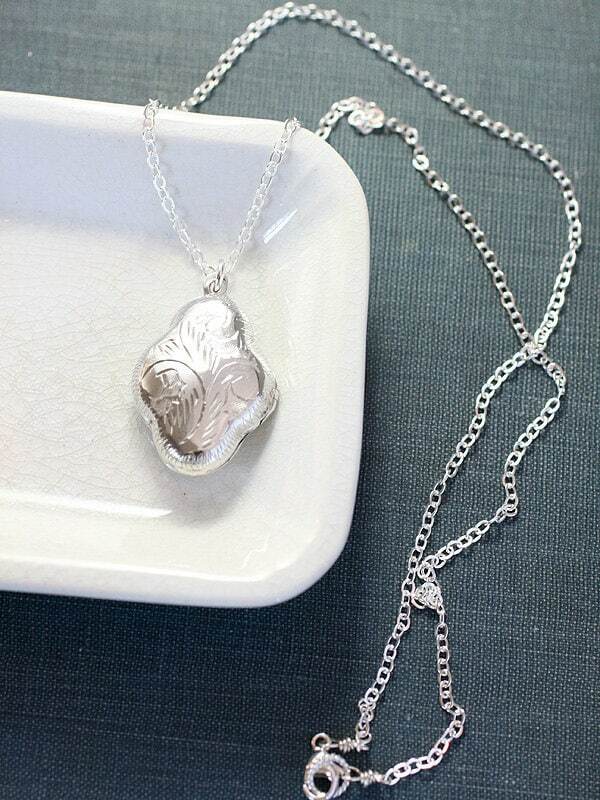 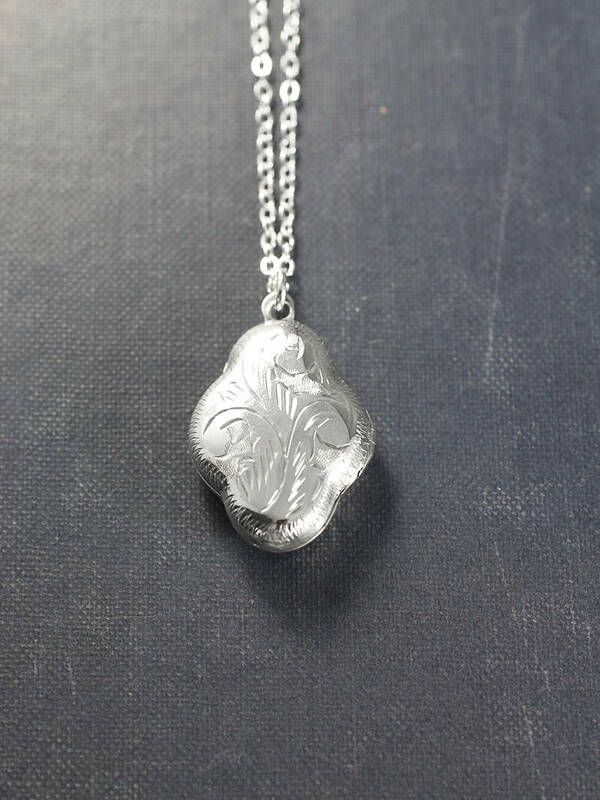 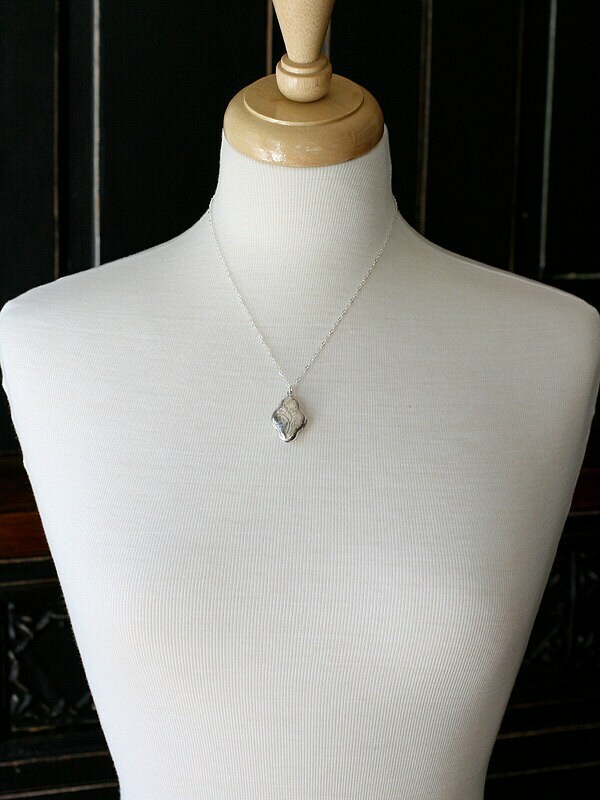 A beautiful vintage sterling silver locket is graced with soft rounded edges creating a wonderful unique shape and is engraved on both sides with a classic vine or plume like design. 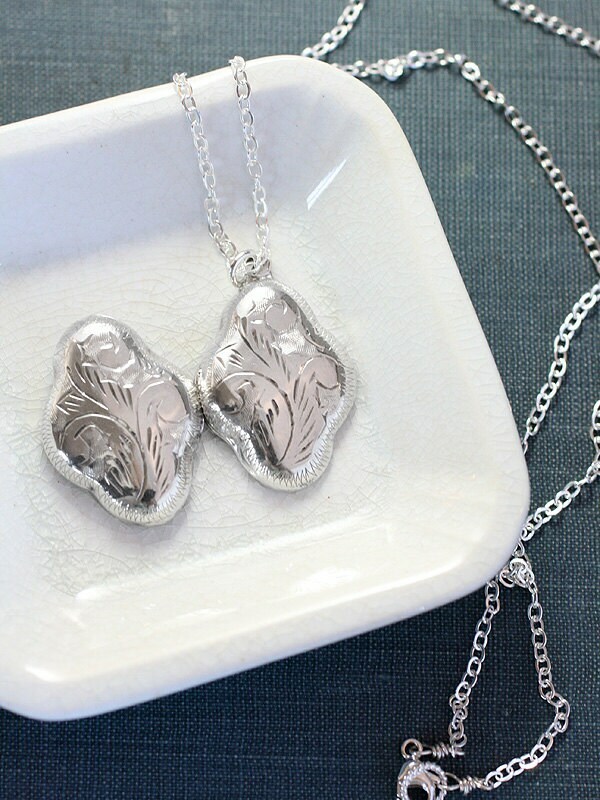 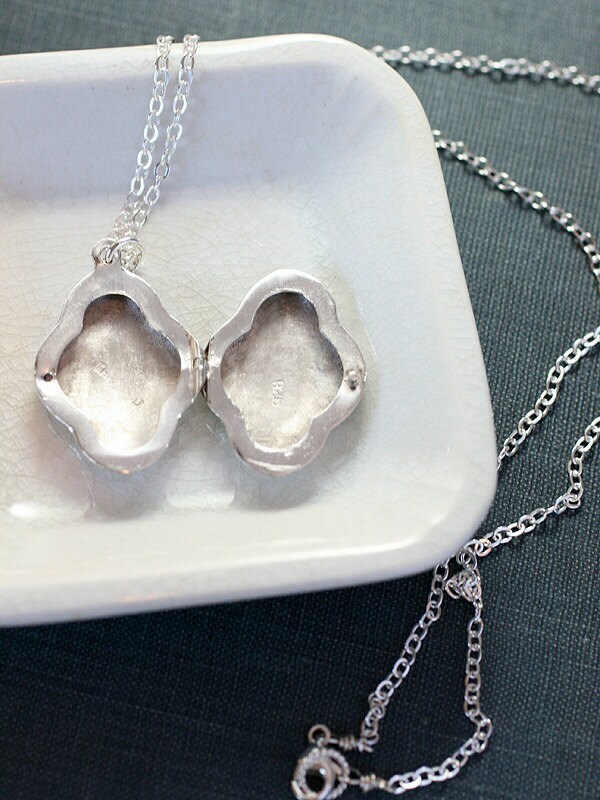 The vintage locket opens to reveal two places for beloved photographs to be slipped inside. 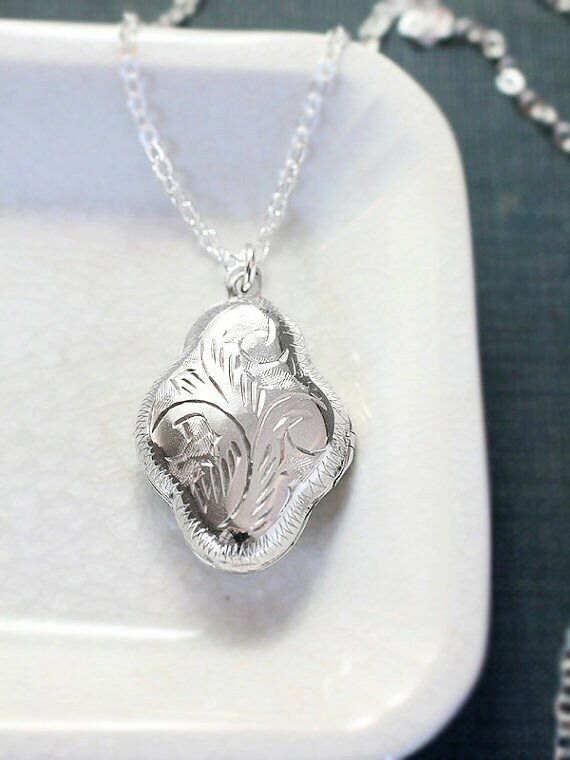 The design is set on a new chain of sterling silver hand finished with a trigger lobster clasp and ring.